Are you feeling the love this Valentine’s Day? With the holiday almost here, it can be a struggle to get the right gift to show the kids in your life how much you care. That’s why I’m so excited to give VeggieTales for Valentine’s Day! 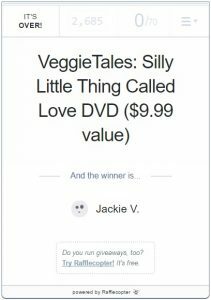 And this Valentine’s Day season, the VeggieTales: Silly Little Thing Called Love DVD is the perfect addition to your VeggieTales Collection! Check out why this DVD is the perfect gift of LOVE for your little ones and be sure to scroll down for a giveaway! It’s all about love in this collection of VeggieTales stories! From loving your neighbor to loving God, your kids will love learning through songs, smiles and laughs with the VeggieTales gang and the VeggieTales: Silly Little Thing Called Love DVD. Loving Your Neighbor – “The Story of Fibber-O-Loo” brings the Parable of the Good Samaritan to life, with a hilarious Veggie twist! Through rhyming and song, kids learn that loving your neighbor means helping everyone in need, even if they don’t live next door! Loving Your Family – Love princesses and castles? “Duke and the Great Pie War” shows a story of how true love means thinking of others before yourself. Loving God – “Madame Blueberry” is a perfect story to teach kids about greed and how only God’s love can bring true happiness. 80 Minutes of “Love” & FUN! What I love so much about VeggieTales for my kids is that it’s completely SAFE for them to watch. And with strong values, morals and character all built on teachings from the Bible, it’s exactly the kind of shows I want my children to learn from and grow. With 80 minutes of teachings on love, my kids are GLUED to the screen as they clap, sing and join in the fun with Larry, Bob, and all of their VeggieTales friends. Valentine’s Day focused on loving your neighbor, family and God? Absolutely what the holiday is all about! 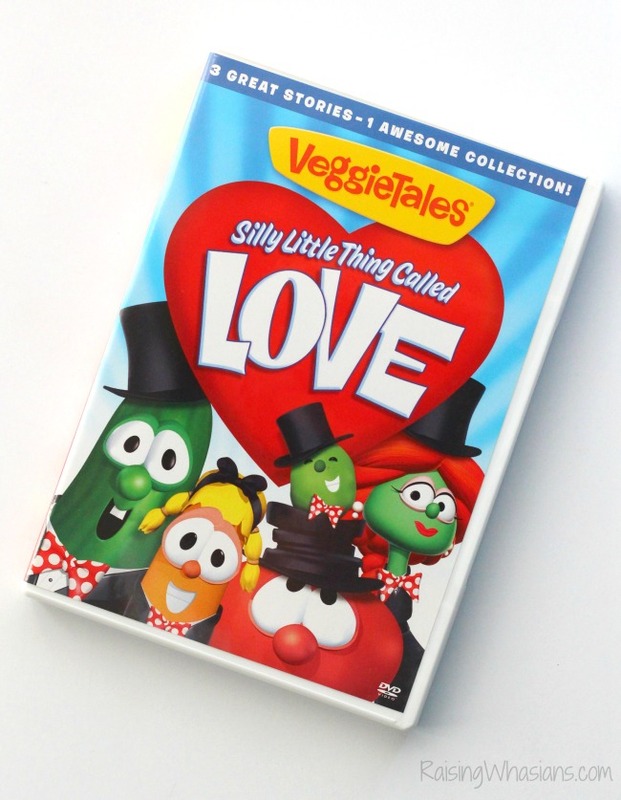 So join in the Valentine’s Day spirit with VeggieTales: Silly Little Thing Called Love on DVD now for the MSRP of $9.99 at your favorite retailer! And be sure to follow VeggieTales via Facebook, Twitter, Pinterest, and YouTube for all of the latest VeggieTales adventures! Contest open **US** ages 18 and over. Winner has 48 hours to respond to my email titled – make sure to check your spam. Failure to respond will cause winner to forfeit the prize and a new winner will be chosen. Please note that prize can take up to 6 weeks to be received by the sponsor. No Purchase Necessary to enter. This giveaway is in no way affiliated with Facebook, Pinterest, Youtube or Twitter. One entrant per household/IP address. I love Veggie Tales! It teaches children about the love of God. I feel the best thing VeggieTales can teach our children is self respect and respect for others. The concepts and key themes of Veggietales have resonated with me even into college. I want those same silly movies to be a part of my sisters lives and embed the gospel into their hearts. 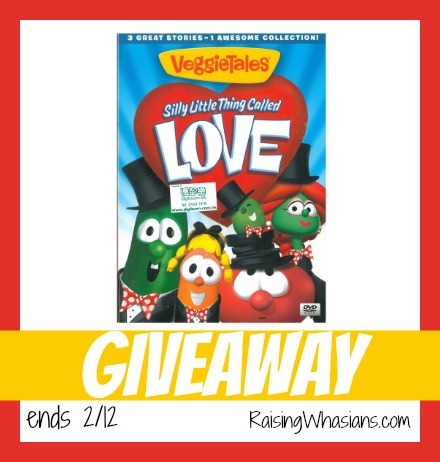 How can VeggieTales help your child learn about love this Valentine’s Day? I think the message in the dvd will help to enforce what we already teach or 2 1/2 yr old grand daughter. I love how they use God and good things to teach kids to be kind and love, not hate. The characters are great sharing their message in the movies, and songs. We love Veggie Tales! I really like that there is such important lessons on every episode. This DVD looks great! It’s wonderful they put such a big emphasis on love for God and our neighbors! Veggie Tales uses songs and stories to teach kids about love. We make valentines and treats and take them to a senior center! We make crafts for our church for Vday. Veggietales is amazing at teaching kiddos about god and love and compassion!! I just adore them and so does my son!! The 3 stories sound so cute. My grandson catches on quickly and he’ll learn from them. I love the religion in Veggie Tales too. VeggieTales can help kids learn about love on Valentine’s Day because Veggietales teaches children good morals. It teaches about the love of God. This Veggie Tales DVD has 3Stories & 4 Silly Songs on LOVE. Plus Veggie Tales always has a lesson and teachings about God & GOD IS LOVE!! Veggie Tales is a family friendly set of videos and this one is no different. It will teach children how to love their family, their friends, and especially God. It’s a safe video that we don’t have to worry about having bad language or bad ‘ideas’ in it. i love larry the cucumber. veggie tales is awesome! They are God-themed and God is love, this video would influence my grandchildren a lot. I’ve never seen a child who didn’t enjoy Veggie Tales. Veggietales can help my children learn about love this valentines day by showing them the importance of compassion for others. Thanks for the giveaway. I hope that I win. Through songs and reminding kids how to act towards others. I love when my kids watch Veggietales. I always feel like they learn something new each time. I think the Veggie Tales will teach my Grandson about the different kinds of love, the music he will love. 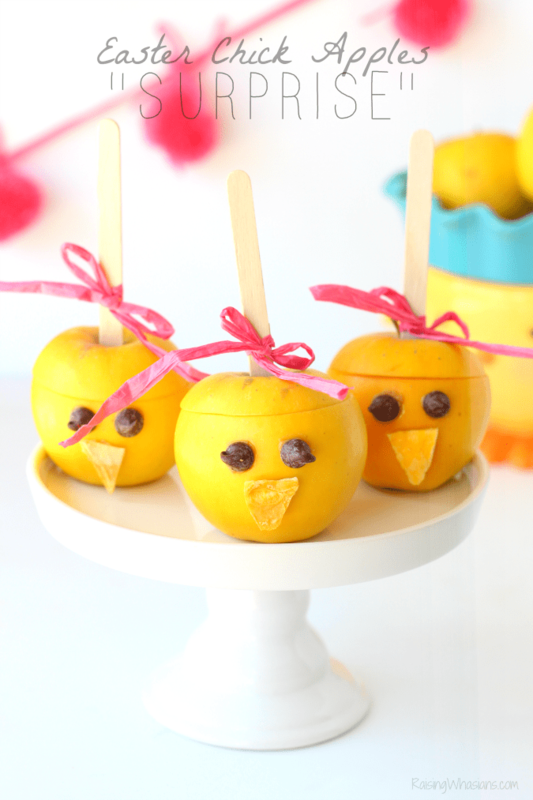 VeggieTales is perfect for teaching that Valentine’s day about more than receiving candy. It puts the focus on loving others in a fun way.